Notes: In my opinion, Torneden was the obvious choice as the MVP of the Sunflower League in 2008, his junior season at Lawrence Free State. After starting the season playing cornerback and getting spot duties on offense as a receiver, Torneden was shifted to the quarterback position to make up for injuries to the Firebirds top two quarterbacks. The position shift may go down as the the best shift Free State head coach Bob Lisher has made during his tenure at the school. 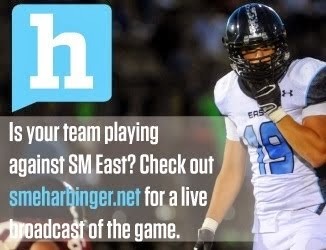 Torneden exploded in Free State's zone-read offense after taking the reigns at quarterback. He made up for his lack of size with his speed (4.47 forty) and agility. Teaming with All-Conference running back Chucky Hunter, Torneden rushed for 1,362 yards and 13 touchdowns. In the passing game, Torneden's numbers were just as oustanding, as he passed for 1,042 yards and 10 touchdowns (so much for not being able to see over the line). Torneden was also one of the league's top threats in the return game. As the chief signal caller Torneden led Free State to arguably the school's best season ever, helping advance the team to the Class 6A State Championship. The Firebirds fell short in the title game to Junction City, but the 9-4 State Runner-Up season was much better than what most had predicted in the preseason. 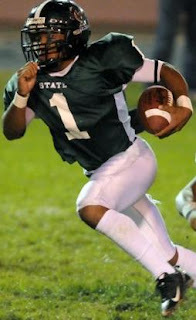 Torneden's emergence at the quarterback position added a new dimension to Free State in 2008, a dimension most teams were unable to keep up with. Assuming he stays healthy, Torneden should lead what looks to be a very talented Lawrence Free State team, compete for the title of the top player in the league, and potentially win the Simone Award in 2009.